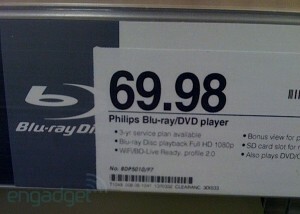 Target has the Philips BDP5010 Blu-ray player on sale right now for $69.98 . The same player once solf for $250, while its current going price is $139. The player support Blu-ray disc (obvisouly), has DivX support, a SDHC card reader, BD Live, and HDMI CEC convenience. Amazon is rolling out a new PS3 hardware deal. Buy the PS3 for the discounted price of $389.99 (normally $399.99), and you also get a free DualShock 3 wireless controller valued at $43. Buy the PS3 with free DualShock 3 controller here. Amazon has launched a new hardware sale, this time from Denon. The deal is quite simple – buy a Denon receiver (5 to choose from) and you will get Denon’s DVD-2500BTCI Blu-ray player, valued at $487.34, for absolutely free. 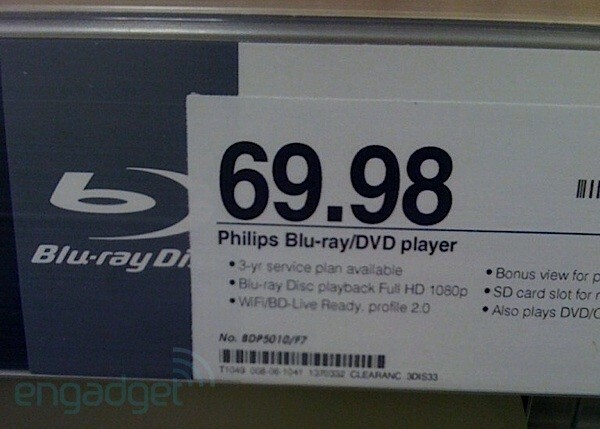 Have a PS3, but want the PS3 Blu-ray remote for free? All you have to do is to purchase three selected Warner Blu-ray titles, enter the coupon code AMAZONPS at checkout, and the remote is yours for free. The remote is a must-have for anyone serious about Blu-ray playback on the PS3. It is a Bluetooth device, meaning there’s no line of sight issues (no need to point the remote at the PS3, to complete the transformation to couch potato).